When it comes to healing, something as simple as a home cooked meal or spending time with family can make all the difference. To do our part to help improve the health and well-being of children and families, GRG is working with the local Ronald McDonald Houses in all four of our locations to provide support and assistance to families with sick or injured children in the community by volunteering our time at the facility as part of a nationwide community outreach event — known as the Injury Board Day of Action. On Thursday, September 17, 2015 GRG employees from each of our offices will visit the Charlotte, Cincinnati, New Orleans and Chattanooga Ronald McDonald Houses to participate in an onsite service project and deliver care packages to families. The IB Day of Action is a nationwide, collaborative effort to bring together more than 100 plaintiffs’ lawyer firms from across the U.S. — all working for the same cause on the same day. 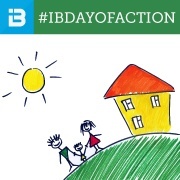 If you would like to learn more about the IB Day of Action please click here.